For more than 40 years, we have been dedicated to helping Volusia, Flagler, and Seminole County residents secure Social Security Disability benefits. If you are unable to work due to an injury or illness, we can help you with your claim for benefits. Social Security Disability (SSD) benefits are available to many individuals who are unable to work due to illnesses and injuries. Unlike workers’ compensation, you do not need to get hurt or sick at work in order to be eligible for Social Security Disability. If your medical condition meets the Social Security Administration’s definition of a “disability” and you have worked enough to qualify for coverage, you are entitled to benefits regardless of the cause of your illness or injury. Unfortunately, this does not mean that obtaining Social Security Disability benefits is easy. In fact, the process is extremely involved, and many people do their best with the application – only to have their claims denied after weeks (sometimes months) of waiting. This is an outcome that most people cannot afford; and if you are entitled to benefits, it is not a situation you should be forced to endure. Social Security Disability Department is led by attorney Luis Gracia, an expert who is a Board-Certified Social Security Disability Lawyer. Tina Ehrenkaufer has been trained and assists Luis in all aspects of the claims process including everything from the new client intake to representing clients at their Social Security hearings as a Disability Advocate and Representative. Whether you have recently been injured or you have already had your benefits claim denied, we can help. Our attorneys will walk you through every step of the application (or appeals) process, and we will stand by your side until you receive the benefits you deserve. How do I know if I am disabled? How can I figure out what benefits I am entitled to receive? These are important questions that don’t have easy answers. If you need to find out if you are eligible for Social Security Disability benefits, contact us 24/7 to schedule a free consultation with an experienced disability attorney. Waiting too long to apply. Waiting too long to apply can make it more difficult to secure benefits, and it can even result in loss of your benefits eligibility. Not giving the SSA complete information. The SSA has strict guidelines for approving SSD claims. If your application is incomplete, it is going to be denied. Focusing on medical conditions and not limitations. A medical condition is not the same thing as a limitation. In order to secure SSD benefits, you need to show that your medical condition has resulted in a limitation that prevents you from maintaining your employment. Relying on your own “common sense” to win a case. Applying for SSD is not a common-sense process. The rules are entirely too complex, and the SSA’s procedures are extremely convoluted. To secure benefits, you need to play by the rules, and not do what you think you should have to do in order to collect benefits. Not using time to your advantage. Applying for SSD takes time. Fortunately, there are a number of ways that you can use this time to your advantage. You must disclose all of your medical providers and their contact information on your application. If you leave out information about your medical history, SSA employees won’t go looking for it. They will simply deny your claim. You must disclose all of your medical conditions. The SSA will consider all of your medical conditions, individually and in combination, to determine if you are disabled. Due the factors the SSA considers, you need to disclose all of your medical conditions, even if some of them seem irrelevant to your claim for benefits. The details matter. Regarding your work history (which is a critical component of your SSD application as well), you need to be as detailed as possible so that the SSA will be convinced of your eligibility for benefits. If you don’t say it, the SSA won’t know that you need to lift, bend, crawl, or physically exert yourself for extended periods of time. Focus on what you can do, not what you can’t. Social security adjudicators are not interested in the things you cannot do, but rather in the things that you can. If the things you can do are not sufficient to allow you to work, then you are considered legally disabled. Q: What are the basic requirements to apply for disability (what does it mean to be “disabled”)? In order to apply for SSD, you must have a medical condition that prevents you from working for a minimum of 12 months. Q: How do you apply for Social Security Disability benefits? 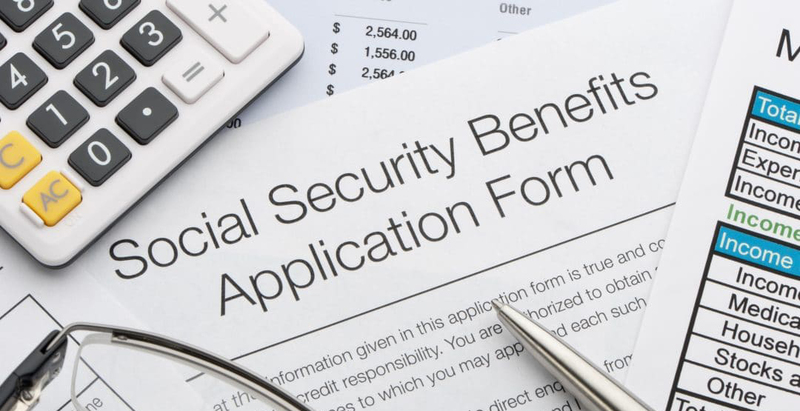 There are two ways to apply for Social Security Disability benefits. You can visit your local SSA office, or you can apply online at www.ssa.gov. Q: Have you already stopped working? In order to apply for disability, you have to stop working or in some cases reduce the number of hours and monthly take-home pay to apply for disability. In order to file an application social security indicates you are not able to work more than 15-20 hours and make less than $1,180.00. If you only qualify for SSI benefits this is a welfare bases program and you are not allowed to work at all as this will a dollar for dollar offset. Q: Can I apply for SSD if I am currently receiving short-term or long-term disability? Yes. In fact, if you are receiving long-term disability benefits, you may be required to do your best to obtain Social Security Disability. In addition to representing individuals in applying for SSD, we assist with long-term disability claims as well, and we can make sure you do everything necessary to maximize your benefits. Q: Hane you been denied social security benefits? If you have been denied social security make sure that if you wish to file an appeal, that it is done in a timely manner. You only have 60 days from the date of the denial to file an appeal in time. Should you go past the 60 days you forfeit the right of that application and would have to start all over again. Q: What are my options if the SSA has denied by Social Security Disability application? If the SSA has already denied your application, you have 60 days from the date of denial to file an appeal. While you can file a new application if your window for filing an appeal expires, filing a successful appeal can be much quicker than filing a new application from scratch. Q: How long does it take to start receiving Social Security Disability benefits? If you are eligible for SSD and you submit a complete and accurate application, you can expect to receive a decision in four to eight months. If your application is denied, you can expect to wait for another two to five months during the first level of appeal. If your initial appeal is unsuccessful, you can appeal again, but the current wait time at this level is 24 to 26 months. Q: Have you spoken to your doctor about filing for social security disability? In order to qualify for SSD, your doctor needs to be on board. You need to have your doctors supporting your decision to file for disability. Social security bases their decision strictly on the medical records and the limitations from their records. Make sure you tell your doctors about every condition that you are suffering from. If you are unable to work due to a disabling illness or injury, don’t let simple mistakes delay your SSD benefits. We are here to help, and your attorney at Rue & Ziffra will personally make sure that you have the best opportunity to start collecting benefits as quickly as possible. To get started with a free and confidential consultation, please call (386) 788-7700 or send us your contact information online now.